GOING into the final round of the inaugural Joe McDonagh Cup round-robin fixtures, Antrim's hurlers still stood an outside chance of reaching the final. By tea-time that Saturday, the Saffrons were staring a relegation play-off in the face. Such are the fine margins on which Antrim's season has swung. They began their McDonagh Cup campaign positively, with early May wins over Carlow and Meath, but then the wheels started to come off. 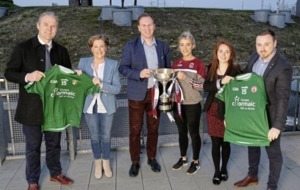 First, there was the agonising single-point defeat to Laois in Dunloy and then a two-point defeat to Westmeath in Mullingar, leaving them outsiders for the final. But still, they were 8/15 favourites when Kerry came to call on Cushendall. After 20 minutes, Antrim led by 10. And then the collapse came, with the men from the Kingdom eventually running out 2-21 to 1-20 winners. Now, it's Christy Ring Cup champions Kildare in Armagh's Athletic Grounds in this Saturday's promotion/relegation play-off. 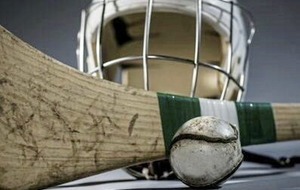 Lose, and Antrim will be playing third-tier hurling in 2019. 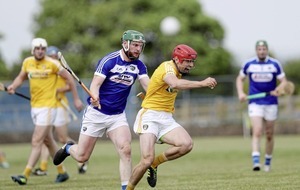 Coach Dominic ‘Woody' McKinley, who has given the best part of his life to the cause of Antrim hurling, has seen it all before when it comes to snatching defeat from the jaws of victory. “We were 10 up, we could've been 16 up and then we just lost it, we couldn't seem to stop it happening,” he says of the dramatic turnaround against Kerry. 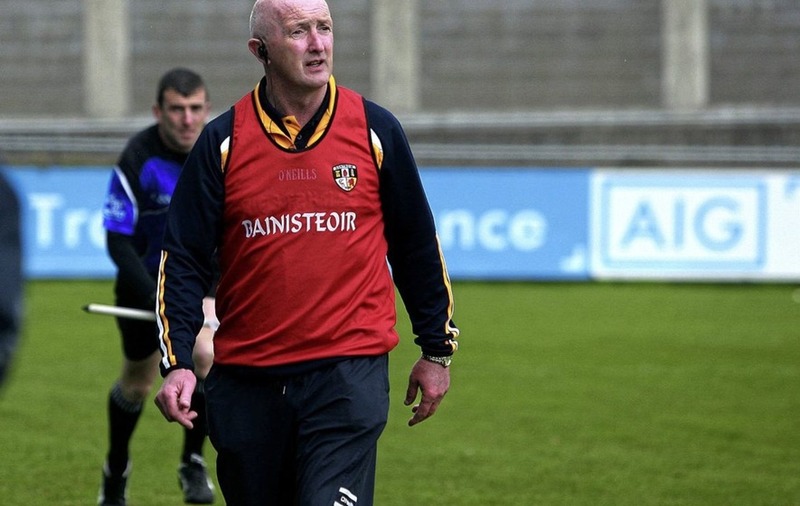 “This is something we've been dealing with going on six or seven years, in Christy Ring finals and the like. I've been in charge for so many matches when we haven't managed the game out. We need to learn how to hurl for 70 minutes, not just in parts of games. “It's something we've tried to address – we've brought in psychologists and the like to get ideas. Once we hurl, we hurl, but results don't lie. It's a major issue. Come Saturday, the Saffrons will be up against a Kildare side who successfully managed a victory over a fancied London side in the Christy Ring final, and ‘Woody' was impressed with what he saw at Croke Park last weekend. “The players are down in the dumps, but we need to get on with it and put that disappointment behind us because we've a crucial match on Saturday and it's going to be a massive task,” he added. “Kildare looked good in the final at Croke. London were favourites, but Kildare had more energy and they took their scores at the right time. “They're going to want that challenge of playing Joe McDonagh Cup hurling next year, but we want to stay in it because it's a great competition. So something has to give. After a short break, with club action resuming in the meantime, the Antrim panel have been back in training from last Thursday night and McKinley sees nothing to suggest the motivation levels aren't high enough. Although Ciarán Clarke will be missing on Saturday due to work commitments and Joe Maskey and Michael Armstrong are long-term injuries, the management team have an otherwise full panel to pick from. Whoever is picked to start against Kildare will be left in no doubt of what is at stake for Antrim hurling. “We're all down – defeat affects us as mangers too, we're all proud people,” McKinley said. “I understand the implications of a relegation battle, but I've only good things to say about the attitude of the squad.